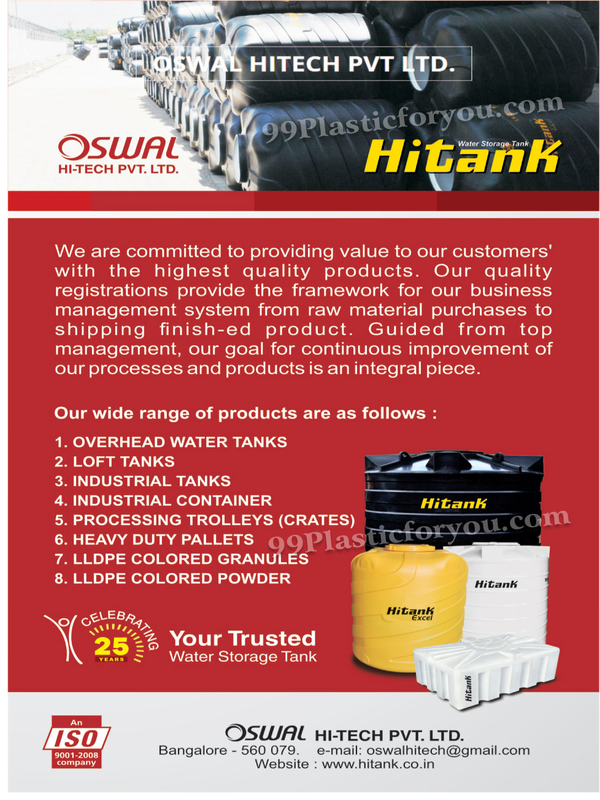 Overhead Plastic Water Tanks, Plastic Loft Tanks, Plastic Industrial Tanks, Plastic Industrial Containers, Processing Trolleys, Plastic Crates, Heavy Duty Plastic Pallets, LLDPE Coloured Granules, LLDPE Coloured Powder, Crates, Water Storage Tanks,Coloured Powder, LLDPE Powder Pallets as an active Manufacturer, Supplier, Dealer, Distributor, Trader and Seller etc. (*Importer/Exporter/Service Provider). © Copyright 2019. www.99plasticforyou.com, All Right Reserved.